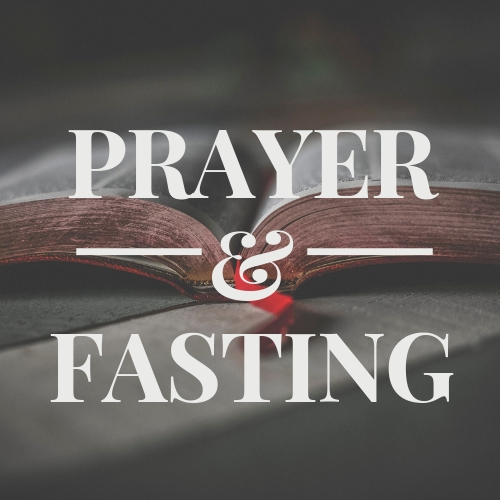 As we come together as a body to pray and fast this month, it is important to be in tune with Gods word! Scripture says that God has placed eternity in our hearts. Ecclesiastes 3: 11 He has made everything beautiful in its time. Also, he has put eternity into man’s heart, yet so that he cannot find out what God has done from the beginning to the end. The idea of longing for something greater and wanting something more is as natural as breathing. God has placed this longing in our hearts! As we begin this month of prayer and fasting please remember not to miss the mark because your aim was for some-thing instead of some-one! At the beginning of each year, eternity starts to spring up in our hearts and as we long for more and hope for something better, it is important that we are aiming for eternity. When we fast from something good, we should long for something better. If our longing is for some-thing, then the “thing” will provide a temporary fix, but not fulfill the real need, which is Christ himself. Looking forward to hearing the testimonies of your fast during the month of January! 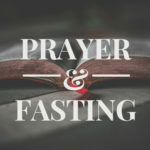 I’m excited and encouraged to do some fasting this month. Not just from food, but other things that cause such a distraction from hearing the Holy Spirit.